After a morning that saw air conditions in the “Unhealthy” range, conditions have cleared steadily over the course of Sunday afternoon, dropping into the “Moderate” range by 2:45 p.m.
Two hours later, however, that agency’s rating had fallen to 92 – solidly in the moderate category. 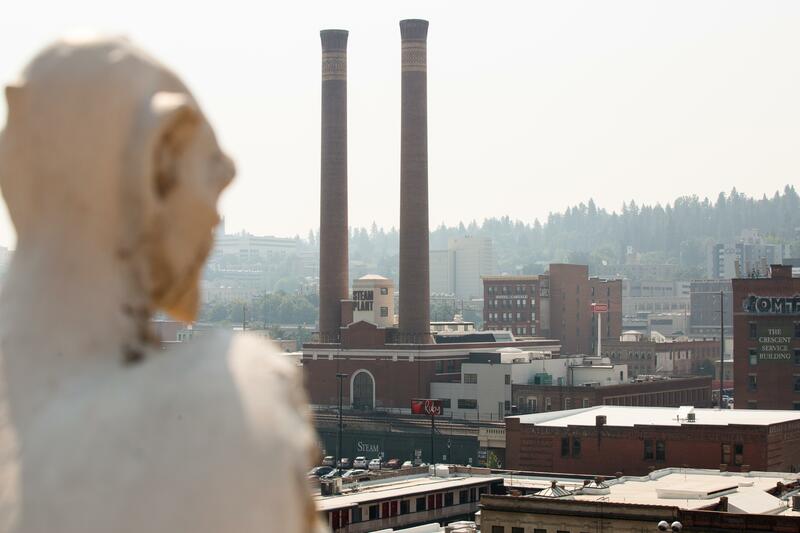 The National Weather Service Spokane office said smoke from fires in the Cascades and British Columbia was mostly to blame for Sunday morning’s air, as wind continued to push in from the northwest. But with rain in the forecast this week, the region could soon see a longer-term reprieve. Pelatti said North Idaho could also see a quarter to three-quarters of an inch of rain Monday afternoon, helping to douse a cluster of wildfires burning in the Coeur d’Alene National forest and further north in the Kootenai National Forest Selkirk Mountains. Spokane could see as much as a tenth of an inch of rain as well. Published: Aug. 26, 2018, 1:18 p.m. Updated: Aug. 26, 2018, 2:55 p.m.